Boating Safety Tips. Photo Courtesy of The U.S. Coast Guard. The United States Coast Guard characterizes their Auxiliary corps as a “force multiplier”, enabling the active-duty and reserves corps to do more with the budgeted dollars allocated by the US Congress. USCG Auxiliarists donate 100% of their time to the tasks authorized by the Commandant of the United States Coast Guard. And no task is more important than promulgating and expanding the safety of life at sea. This column is about that. Well, that might be a bit of an over-statement (these are hardly divinely inspired) and an understatement (there are a lot more than 10 things you can do to enhance safety for you and your crew.) However, the numbers associated with these 10 steps that any skipper can do, or insist is done, are compelling. If 16 mariners go into the water without a life-jacket – only 1 comes out. Conversely, if they fall overboard with a life-jacket, 15 come out. Which cadre do you want to be in? Always have an adequate supply of personal flotation devices aboard. Make sure that children are wearing life-jackets that fit correctly. Federal and State law requires that they have one on. Only you, the skipper, can insure that it fits them properly. More on life jackets here. Yes, something as simple as an 8-hour boating safety class can make all the difference. 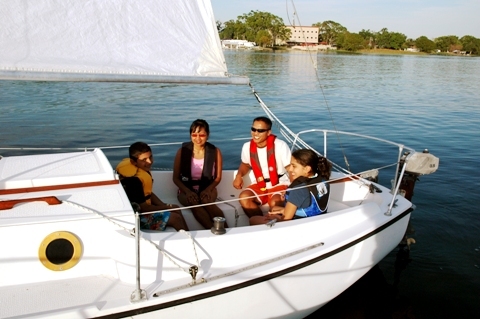 70% of boating accidents involve skippers who have never taken a boating safety course. If you haven’t, start here http://www.cgaux.org/boatinged/ or email me below and we’ll get you squared away. 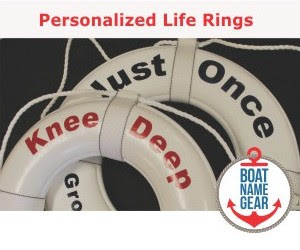 Adults between the ages of 40 and 49 account for the highest rate of boating fatalities. You set the tone for safety for the entire crew and her passengers. Come on, Bunky, get that life-jacket on. You are required by law to always maintain a look-out. You are also required to use all available means to do so. Have radar? Turn it on, Skipper. Speed is a another matter because, like driving a car, speed should always be reduced if visibility and/or weather demands it. Clearly, if you’ve ever left the dock under beautiful skies and then came home under heavy weather, you know how important is to know – before you go – what to expect during the course of your journey. Particularly for skippers of open boats, this can be all the difference, even between life and death. More on weather here: Small Craft Advisory – That Means You! 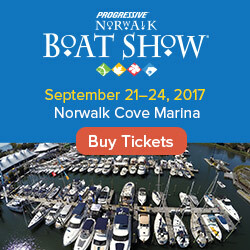 The US Coast Guard recommends that you always tell a friend or family member where you plan to go and when you’ll be back. Make it a habit before leaving on any boat trip. More about float plans: Float Plans – Nothing but Upside. Thank you for the excellent list, they are certainly things that a captain of any vessel, large or small should remember.